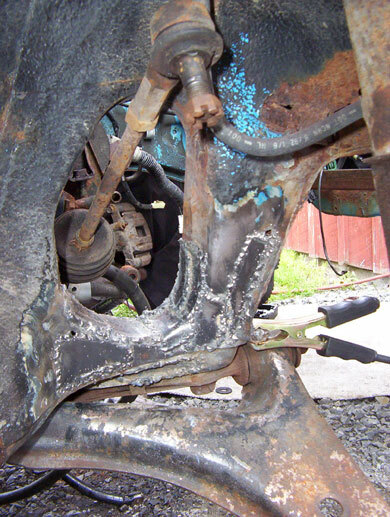 Paul: I couldn't get a measurement for you because the welds hide the original diameter of the splined hub. The good news is the lovejoy appears to be in good condition - the spider is fine. There seemed to be a little bit of play in the stub shaft into the female splined motor shaft though. 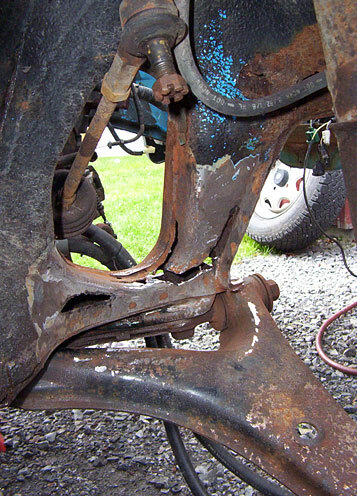 Have to confirm against the spare motor/spare stub shaft. We removed the drivetrain and everything else out of the motor compartment today, to do some rust cleanup & general spiffing. 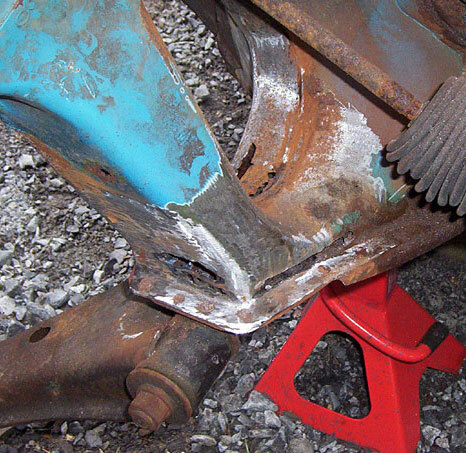 Bad news: this winter was HARD on the dreaded control arm mounts - the achilles heel of the Metro/Suzukiclone. There are holes that weren't there year ago. I confess I also did not oil that area of the car last fall because I left it too late (or winter came too early - take your pick). It's intact, but there are impending structural issues if left as-is (I doubt it would make it through another winter). We were only expecting to be doing cosmetic stuff this week, but tomorrow will be reinforcing that area with welded in patches. The good news is the lovejoy appears to be in good condition - the spider is fine. I'm going to do this very soon. I bought the '95 yesterday knowing I would be doing it soon. My plan is to pull the engine so I can get in there and cut out the rust and insert patches but I wont be sure how I'll do it until I'm in there. I've been taking a few pix. Will post when it's all back together. 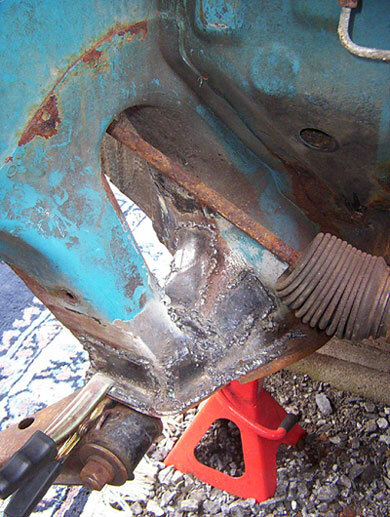 The biggest time-eater has been patching/strengthening the control arm mounts. My welding skills ... well, I don't really have any! It looks horrible, but I'm confident I'm getting enough penetration along with the bubble gum that it's going to do its job. Tomorrow I'll be done the pass side, and will get most of the driver's side done. Then it's on to the motor compartment itself to clean/patch a few other rusty areas and respray. The motor will be getting a fresh coat too. 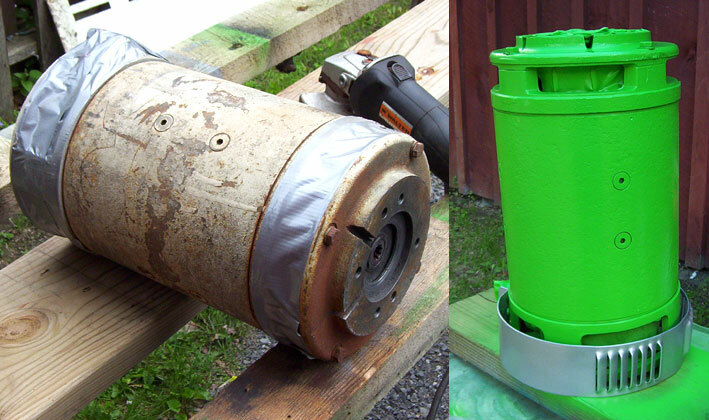 We're going eye-searing lime green on it and the pot box & controller. You're in good company, with bennelson & mpaulholmes also doing/planning builds! Hey Darin, what sort of radio shack pot are you using? What wattage is required? Voltage range? How the heck do you wire it to the 1204-412 48v 300amp curtis controller? I ask different people, and they say I can use a PB-6, and then another person says "No!". I saw some of your writing a while back that the controller takes 3 wires. Do you have to use a standard 5k pot with all 3 prongs? So, would it be a problem to use just a portion of the rotation of a 25k pot? Would that send the wrong info to the controller since it uses all 3 prongs, and the resistance from prong1 to prong3 would be 25kOhms in stead of 5kOhms??? I'm thinking about ordering a slider pot that has a 6cm sliding range and is 5kOhms. That would be super easy to rig to the accelerator. However, no one uses it, so I might just go with the twisty type! Hey Paul - you probably already saw I answered your questions on the EVDL. I don't know what wattage the Radio shack pot is - sorry. The other side was equally as bad. Car is going back together tomorrow. Are you sure you were holding the welding gun? It looks like you squeezed crap out of a sparrow. The motor looks good, but please tell me you're not painting the car hot pink. I can't wait to see the finished product.